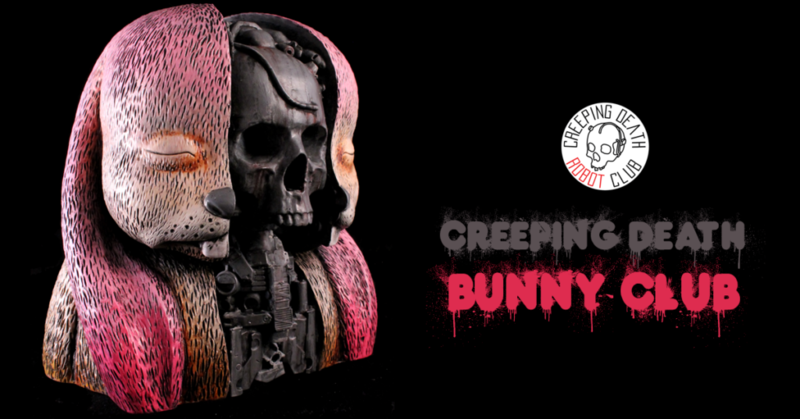 As Klav9 aka Creeping Death Robot Club prepares for his upcoming travels to Thailand for Thailand Toy Expo next month, he still has time to create something right up with the creepy & beautiful Creeping Death Bunny Club custom. This one-off kit bashed Aleppin Sane from Jermaine Rogers will be available for sale at the opening of “Whats with all the Rabbits? !” custom group show at Mothership Toy Gallery this Saturday night : April 20th in Philadelphia. If you want to find more Creeping Death Robot Club, you can do so on Instagram HERE. More to come from Klav with TTE in the near distance. Keep your eyes on TTC for more information!